Up to 350 people assembled in downtown Murmansk in a protest against Putin. The organisers of the event had failed to get approval from city authorities, but more than 300 people still assembled in the downtown city park at Leningradskaya Street. It was part of a country-wide protest against Vladimir Putin and his rule and was sparked by the authorities’ rejection of Aleksey Navalny as candidate in the 18th March presidential election. In Moscow, Aleksey Navalny was himself detained as soon as he showed up at Tverskaya Street, and the TV studio which broadcasted live from the rally was brutally halted by police. The rally did not proceed quietly neither in Murmansk. Police soon intervened and detained 22 people, OVDinfo reports. Among them were Violetta Grudina, the leader of Navalny’s regional office and the organiser of the protest. Grudina herself did not make it to the square, but was halted and detained 300 meters away. The police had beforehand sealed off the area with ribbons, the local opposition leader says. According to OVDinfo, the police used rough physical force to bring the detainees to the police trucks. They were all released shortly after. The authorities had done what they could to put a stop to the gathering. The downtown park had beforehand been taken off the list of places for sanctioned meetings, and a parcel with agitation materials had been confiscated by police. The deputy of Grudina had been detained by police earlier that morning. «Despite detentions and counter-action by police, the rally did take place», Violetta Grudina says in a tweet. The 28th January rally was officially called the «the strike of the electorate». The protesters argue that the upcoming vote is not free and fair and therefore must be boycotted. «I do not have no-one to vote for», a poster held by protesters said. The presidential election will be held on March 18th. A total of 15 candidates have been approved to run by the country’s Election Commission. 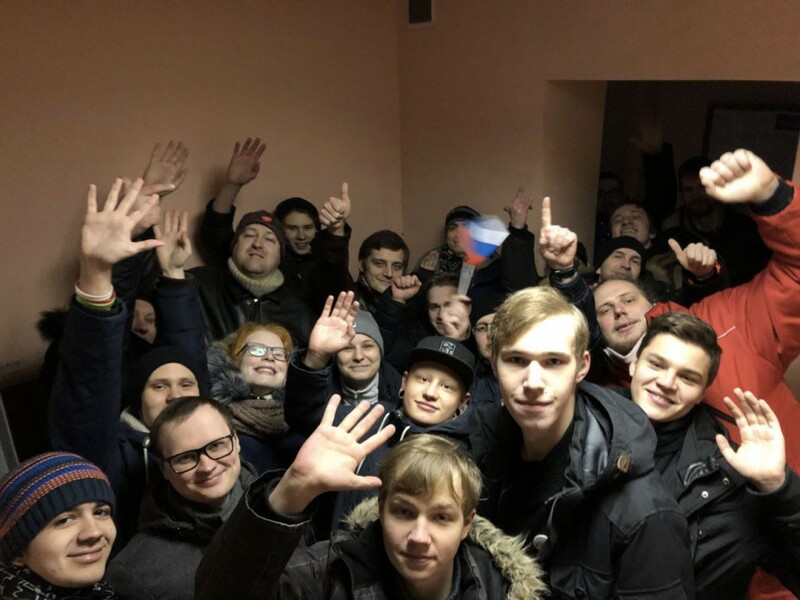 Among them is not Navalny, whose candidacy was turned down on 25th December on the ground of a former disputed court sentence.